Born 22 June 1848, Port Bannatyne, Scotland. 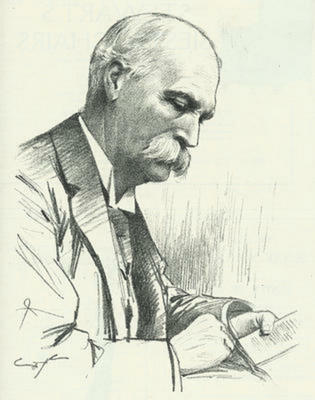 Sir William Macewen (1848-1924) was Regius Professor of Surgery at the University from 1892 to 1924. Born in Port Bannatyne on the Isle of Bute, Macewen studied Medicine at the University from 1865 to 1869 and graduated MB CM. 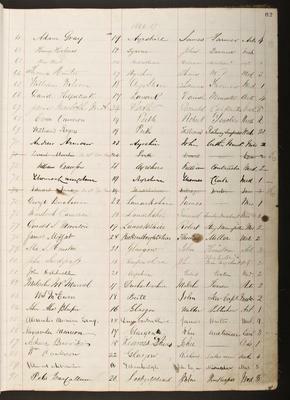 He worked in a number of Glasgow hospitals and worked as a dispensary surgeon to the Western Infirmary in 1873. He was later appointed Professor of Clinical Surgery at St Mungo's College of Medicine in 1888. 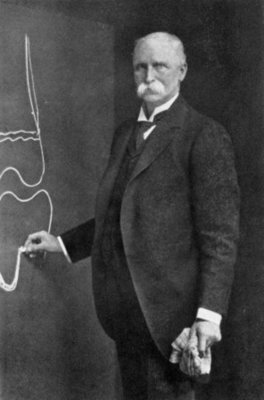 Macewen became famous for the introduction of successful aseptic procedures in the operating theatre; as a pioneer of brain surgery and for the development of a number of successful operating techniques and procedures in bone surgery. In 1909 Macewen was appointed honorary surgeon to the king; he served as surgeon-general in Scotland, and during the Great War he became surgeon-general to the fleet in Scotland. Macewen was also a member of the committee which was responsible for opening the Princess Louise Scottish Hospital for Limbless Soldiers and Sailors, in Erskine in 1916 and he was the hospital's first chief surgeon. With the help of engineers and workers of the nearby Yarrow Shipbuilders, the Erskine artificial limb was designed. Among many honours, he received an LLD from the University in 1890 and was knighted in 1902.